All of us, at some point in time, have hard of the term “hard” water. Many do not know what hard water is. Water is considered to be “hard” if there is a lot of magnesium or calcium dissolved into the water. There are a number of problems that hard water can cause, especially if you make use of pressure washers on a regular basis. One of the problems caused by hard water is that the water reacts with soap. The water causes the soap to form a sticky scum. Another problem of hard water is that this type of water is notorious for reducing the soap’s ability to lather. Moreover, hard water causes spots to be left behind when washing a vehicle. Water softeners are designed to de-ionize water and to remove minerals. The use of water softeners enhances the power of chemicals. When cleaning things like carpets, your carpets will actual feel softer if you use your pressure washer in conjunction with a water softener. Water softeners eliminate, from awning and window washing, mineral deposits that have a tendency to build. The mineral deposits are also removed when cleaning upholstery. There are different sizes of water softeners available for purchase depending on the volume of water that each different model will treat. Water softeners are considered to be a low cost solution especially when a DI unit costs seven hundred dollars a month to use. What Are Water Softeners Good For? Water softeners are perfect for use in washing vehicle fleets. This is because a water softener is able to remove ninety percent of calcium and magnesium from hard water. When you wash your vehicle fleet with water that has been treated with water softeners, you will notice the vehicles are cleaner without any spots left behind. Water softeners are a carpet cleaner’s secret weapon for achieving softer, cleaner carpets after just one use. People who have used water softeners praise how durable the product is. Plus the water softener easily attaches to your pressure washer. 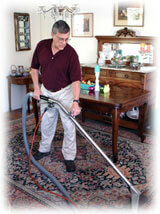 This is one of the simplest and cleanest ways to clean carpets or a fleet of vehicles. A five thousand gallon water softener model, that weighs nineteen pounds, can be purchased for around $749.00 dollars. This is a steal when you consider all of the benefits of using water softeners. Solve all of your hard water problems by using water softeners. Hard water causes a number of problems that can be easily solved. Stop spending valuable hours pressure washing vehicles only to notice that because of the hard water unattractive spots are left behind. The same can be said for those who clean carpets. Achieve better results when cleaning with water softeners. Water softeners make a big difference when used to clean both carpets and vehicles. Stop breaking your back cleaning with your pressure washer using hard water and find an easier, effective solution. Water softeners are the perfect answer to your hard water problem. Start using them today and see cleaner results instantly.